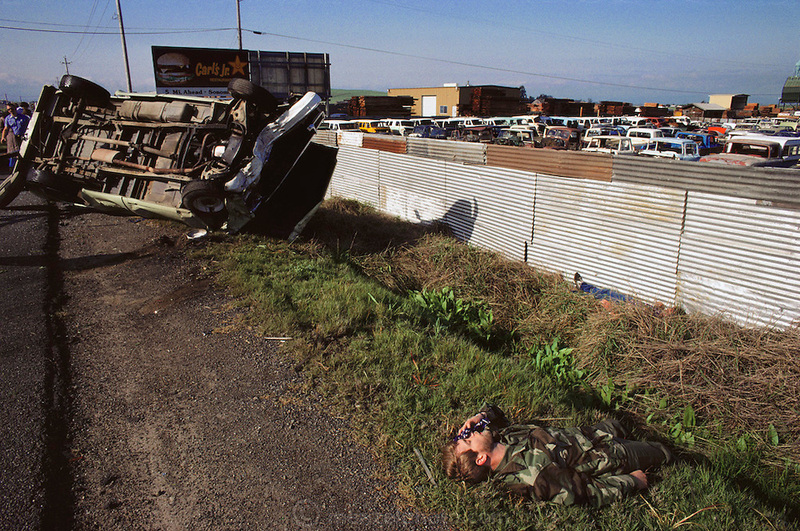 An overturned truck from an automobile accident, and a victim on the roadside of Highway 29, American Canyon, California. The accident took place in front of an auto wrecking yard. USA.